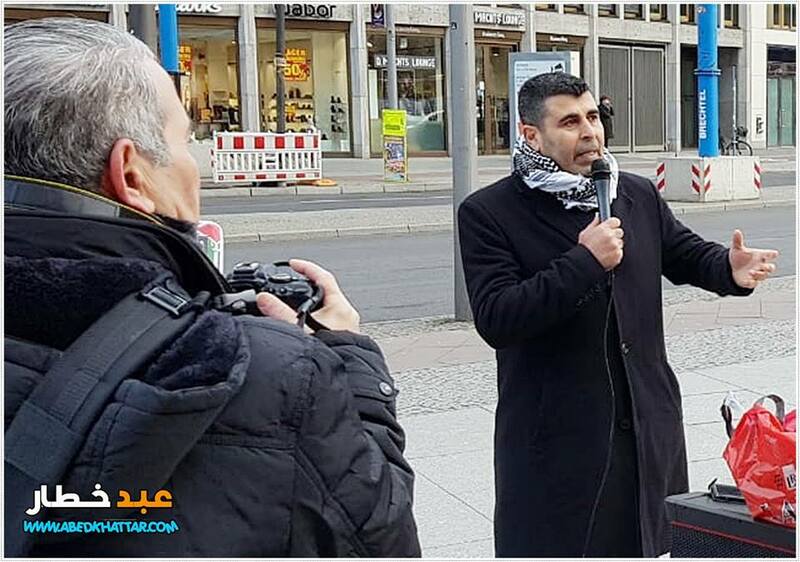 Protesters in Berlin gathered at Potsdamer Platz on Saturday, 19 January to stand in solidarity with Ahmad Sa’adat and all Palestinian prisoners in Israeli jails. Palestinian and Arab community groups and solidarity activists came together with signs, banners and information about the situation facing Palestinian prisoners in Israeli jails. Israeli Minister of Public Security Gilad Erdan, also charged with leading the government’s global anti-BDS campaign aimed at suppressing international solidarity with Palestine, has launched a series of attacks on the rights of Palestinian prisoners obtained through years of struggle. Instead, Palestinian prisoners are being treated as imprisoned pawns in the upcoming Israeli elections, with various candidates touting their willingness and eagerness to intensify the brutal nature of the treatment that they face behind Israeli bars. Erdan has directed the confiscation of thousands of books from Israeli prisoners as well as sharp limitations on water, prohibitions on family visits and various attempts to block Palestinian political organizing inside prison. Of course, Erdan is not alone in this regard; his actions reflect only the latest aspect of Israeli repression of Palestinian political prisoners, a consistent policy for over 70 years of occupation. Palestinian community groups in Berlin involved in the Palestinian Democratic Assembly, including the Democratic Palestine Committees, Palestinian Community in Germany (PGD), Palestinian Women’s Association (PFD), FOR-Palestine, Palestine House and others, came together to call for a demonstration on 19 January in solidarity with the Palestinian prisoners, part of the Week of Action to Free Ahmad Sa’adat and all Palestinian Prisoners. It came in response not only to Erdan’s threats but to a series of racist laws introduced in the Knesset, including bills to prevent the early release of Palestinian prisoners, promote the use of the death penalty and bill prisoners for already inadequate, neglectful healthcare. Samidoun Palestinian Prisoner Solidarity Network participated in the demonstration, distributing information about the case of Ahmad Sa’adat and other Palestinian political prisoners in Israeli jails. International coordinator Charlotte Kates spoke at the event, urging escalation of the movement to boycott Israel. She noted that Erdan is engaged in attacking the prisoners at the same time that his Ministry of Strategic Affairs is attacking Palestine solidarity and BDS campaigns around the world. 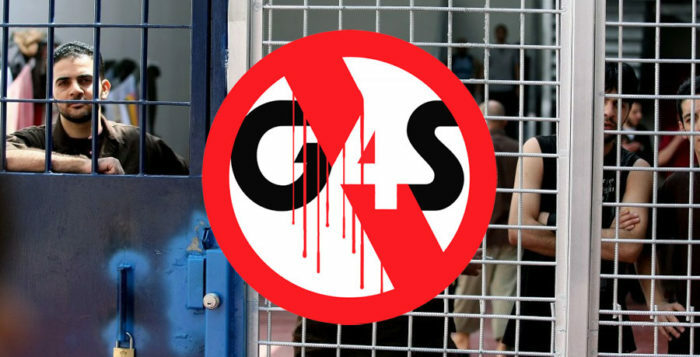 Efforts backed by the ministry have aimed to block solidarity with the Palestinian prisoners in particular. She noted that contrary to the allegations of supporters of Israeli apartheid, the BDS campaign and Palestinian liberation are critical anti-racist movements on the front lines of social justice struggles not only in Palestine but in Germany and around the world. Speakers from FOR-Palestine and the Palestinian Democratic Assembly spoke in German and in Arabic about the situation facing Palestinian prisoners and the urgent need to defend the prisoners. They highlighted the situation of women prisoners, who have been targeted for particular repression, as well as the hundreds of Palestinian children in Israeli jails. 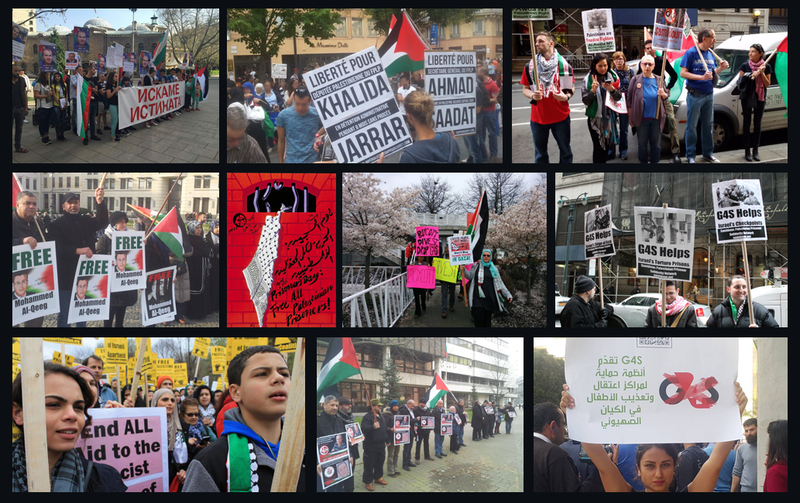 Protests to support the Palestinian prisoners also took place in Manchester, Nottingham and New York, as part of the over two dozen events organized during the Week of Action to Free Ahmad Sa’adat and all Palestinian prisoners. Events will continue in the coming days in Copenhagen, Sao Paulo, Alicante, Athens, Toulouse, New York and Milan.